It’s no secret that Google reads subscribers’ emails. They even go so far as to read non-subscribers’ messages that are sent to Gmail users. The company claims it scans for certain keywords to tailor client-specific ads and once you sign the ToS (Terms of Service), those tailor-made ads are sent to everybody in your contact list. The same is true for the myriad of alphabet agencies, however they are not looking to spam new hardware ads in your inbox. Your words are the infamous Big Data, in this case earning fat profits for big-business. As a result of the rampant spying, users are turning to alternative email servers that limit or promise to keep their information private altogether (although nothing is ever truly secure). In this roundup, we’ll take a look at some of the popular alternative email services that can give Gmail a run for its money—and remove you from their pocket. ProtonMail promises security from prying eyes and gets its own mobile app. First on the list comes from a joint endeavor from Harvard and MIT students, who created ProtonMail as to combat rampant spying. The service boasts end-to-end encryption without the need of installing any encryption-based software or VPN and is as easy to use as Gmail. It does, however, use a two-tiered password system—one for logging into the system and the second to decrypt the mailbox. What’s interesting is that mail can be adjusted to have a specific “expiration date” and will self-destruct after the selected period of time. Proton Technologies has also released a Beta app that allows users to access their accounts on both Android and iOS mobile devices. Best of all it’s free. Tutanota is designed to send encrypted email using Android and iOS devices, and sports an easy-to-use interface. Germany-based Tutanota is another popular encryption-based email service that was designed to be used with both Android and Apple mobile devices. Launched back in 2012, Tuatanota is an open-source alternative to Gmail that also features end-to-end “NSA-proof” encryption. However, users are limited to 1GB of online storage. Users can also send and receive encrypted attachments and can even setup their own domain server to manage business accounts. Unlike ProtonMail, encryption is done locally on the client end rather than through the company’s server so passwords need to be strong and the devices themselves would also benefit from using a virus or malware app for extra security. FastMail features a unique physical security key that generates random passwords, making it secure even on public PCs. The former Opera-owned mail client, FastMail, is an interesting alternative to Gmail—sporting a rather unique security measure to keep your messages from being data-mined. It uses YubiKey, which generates a different password (over the USB HID protocol) every time it’s used, which makes it suitable for use with public PCs. Unlike some email services, FastMail is a paid subscription services that is based on storage—250MB for $10 per year and up to 60GB for $120 per year; it does, however, offer a 30-day free trial. Kolab Now is a web-based group-oriented email service that uses the Cloud for security. Another privacy-oriented alternative to Gmail is geared toward collaboration, where users can file-share with each other on the same project. Switzerland-based Kolab Now allows its users to collaborate with others securely utilizing the cloud from anywhere around the world. Their groupware suite features task-management capabilities along with file storage, customizable web-client, and the ability to set up multiple identities. What makes the data content so secure is actually Switzerland’s privacy laws, which makes it illegal for other nations (such as the United States and UK) to access secure data. This Gmail alternative is also subscription-based (payable with PayPal and Bitcoin) with group accounts running $9.50, and single email service $4.80, respectively. HushMail is a password-encrypted service that only the recipient can have access to, so make sure that password is strong. Simple is the only way to describe this next email client. HushMail doesn’t feature the myriad of features other email providers have, such as Google Drive, Voice, or even Chat. Instead, it offers individual or business accounts with a minimalistic interface, in both free and paid subscriptions. 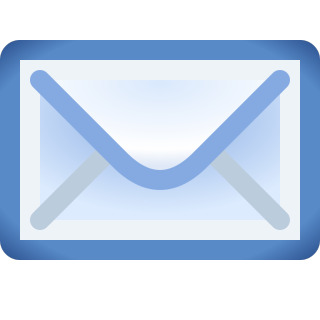 Email is PGO-encrypted locally, making it easy for the recipient to decrypt using a public encryption key, provided both the sender and recipient are using the same HushMail service. If either one uses a different provider, then a password hint will be given, which the recipient must get correct in order to view the message. There are two versions of HushMail that use different security encryption, with the default configuration relying on critical passphrase and private-key operations done on the HushMail server, and the stronger configuration, which uses a Java applet to decrypt data locally, making it tougher to intercept. GMX is a free email service that features file sharing as well as antivirus and spam protection. One of the better free email services comes from GMX, which boasts an impressive list of features, including unlimited email storage, 2GB of file storage, multiple email account management, and the ability to add up to 10 different accounts with the same IP address. What’s interesting about GMX is that it has its own antivirus and malware software built into the app and allows users to blacklist any email they deem nefarious, although it does use seven spam checkers to screen emails. As far as security is concerned, the email service relies on an SSL connection, which uses two keys to encrypt data. It also has a mobile app, allowing users to access content on their mobile devices that even allows for drag-and-drop capabilities with files and folders. CounterMail utilizes the OpenPGP protocol to encrypt email and three-layer identity security to protect against SSL attacks. Another free-to-try pay-based email provider with top-level security comes from CounterMail, which also has a USB key option for accessing data on public computers and mobile devices. The company claims it does not store cookies on PCs or Android-based devices and doesn’t log your distinct IP address. The email provider uses the OpenPGP protocol to encrypt information and a three-layer security protocol to prevent SSL attacks initiated through false certificates. CounterMail has three subscription options as well as a domain service ($10 extra) that starts at $19 for three months with a limited storage space of 250MB; the space increases with the larger subscriptions. Neomailbox is perfect for those who need to have their data scrubbed but like the Mob, it comes with a price. Neomailbox is a great option for those who need an email service that is capable of scrubbing data, as the service automatically deletes all IP addresses as well as email headers upon request. While it may be one of the more expensive services on the market (starting at $49 a year), it boasts an impressive set of features, including using SSL/OpenPGP encryption, spam and virus protection, and unlimited throwaway email addresses. Like most of the others in this list, Neomailbox is based in Switzerland and therefore subject to its privacy laws, making it difficult (but not impossible) for intel agencies to get their hands on your data. Lockbin is an online email provider that’s easy to use and effective at encrypting messages. If simplicity is what you’re craving, perhaps Lockbin is your solution. The free/subscription-based service requires no signup and uses the Cloud to send AES-256 bit encrypted email. Actually, AES-256 bit is used while the email is at “rest” (stored) and 256-bit TLS/SSL while in transit. This is another service that relies on a password for decryption, so users need to make sure the other party has the required information. While Lockbin notes on its website that its service isn’t perfect, it is light and the easiest to use in a pinch—simply write your email in the company’s “Send Message” page and hit send, nothing more, nothing less. They do offer paid subscriptions that allow access for multiple users, as well as an Outlook add-in and the ability to send and receive files. Setting up your own private email server is another option that can be used for security. Another option for keeping emails private and secure is to create your own server (it worked for Hillary, right?). While this is one of the more secure ways to keep email from prying eyes, it can still fall prey to hackers and it can be a difficult task to accomplish. Private servers can be built using a home PC or workstation, but it can be a daunting task as you must also install the server software and then a host of other applications—mail transfer agent, delivery agent, and IMAP or POP3 protocols. Another option is to simply “buy” a cloud-based server such as RackSpace or Linode; however, these can be expensive and security is only as tough as the hosting software provides. While there are a host of options that provide a reasonably secure way of sending and receiving email, it would seem the best option is to revert to pen and paper, and snail-mail the message conventionally.